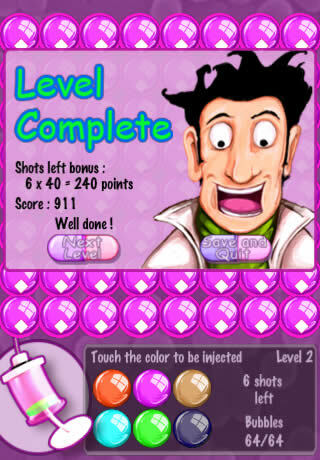 Dr Bubbles is crazy about bubbles. He would like to collect as many bubbles as he can. He's even established Bubbles Labs, known worldwide for his expansion in bubble research. The objective is to end up with all of the bubbles the same color. 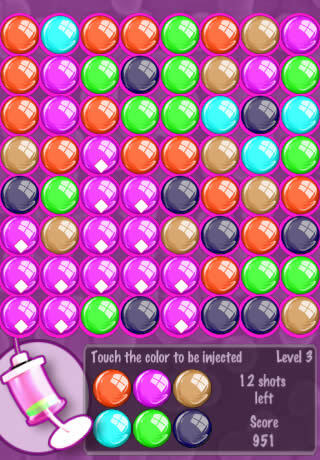 This is achieved by selecting and injecting through the use of the syringe the next color into the bottom left bubble in the grid. All of the ajoining bubbles that match the color chosen will change to that color. 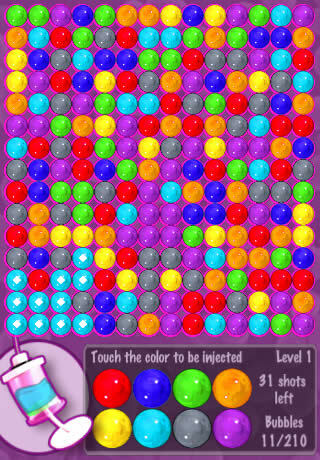 This process is continued until either all of your shots are gone or all of the bubbles are the same color. 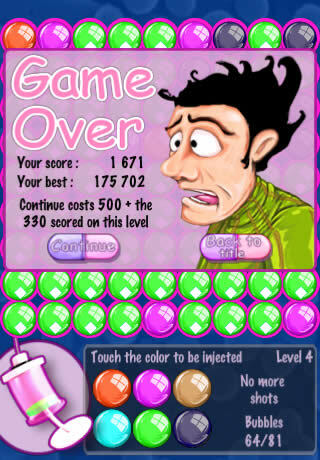 You gain points with each captured bubble and when you reach the top right bubble, your points will be doubled.